You can either do it on your own (which is not a good idea as your small business needs your undivided attention), or hire a receptionist. You can go for a full-time in-house receptionist or engage with virtual receptionist services provider. 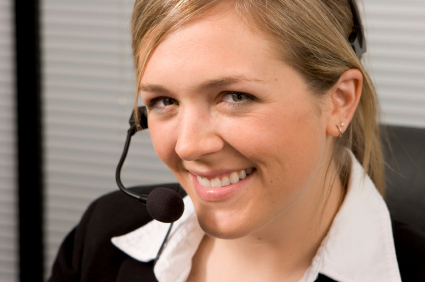 Virtual receptionist can do as good of a job as an in-house receptionist. A virtual receptionist however follows protocols for greeting and initiating the conversation with the “How may I help you” kind of stuff. These calls are monitored, leaving no room for errors. All information is delivered as per your pre-set routines and calls are forwarded efficiently to the right people. Virtual receptionists offer same quality levels irrespective on number of calls. Your service provider maintains specialized and highly trained staffs that are monitored constantly for quality levels. An in-house receptionist may or may not always follow the protocol due to other office distractions. Imagine you getting an important client call and your receptionist is busy attending another call. How will you bail out of situations like these? Either you should have a backup or let the call go unanswered. This is precisely where a virtual receptionist service will help you as they maintain a queue of agents who will answer your calls within three rings. Now this is a major issue. Who will take the calls when your in-house receptionist goes on leave or after regular office hours? With virtual receptionist service providers, you have the option of getting 24×7, 365 days phone support as per your business needs. The service provider will take care of service continuity in case of changes in staff members. They can also increase/decrease your phone agents seamlessly if there’s a sudden increase in your call volume. With an in-house receptionist you would need to invest in a proper phone system, computer, office space, and other benefits for the employee, while a virtual receptionist calls for zero infrastructure and maintenance and as they work by the hour, it tremendously cuts down your cost. As a small business owner, you regularly plan and conduct promotional events, product launches, and so on. Now considering the huge call flow during these events do you really think that your in-house receptionist will be all excited about it or be pissed off? A virtual receptionist service here is a smart option that will not only professionally manage the additional call flow but will also make these events more profitable. This flexibility to add staff on as needed basis is a great plus point. Compare the benefits of appointing a full-time in-house receptionist or using services of a virtual receptionist in handling important customer calls.